If you can’t be there at the Expo 2015 (Milan, Italy), you can at least snoop in the live photos taken at this international fair. 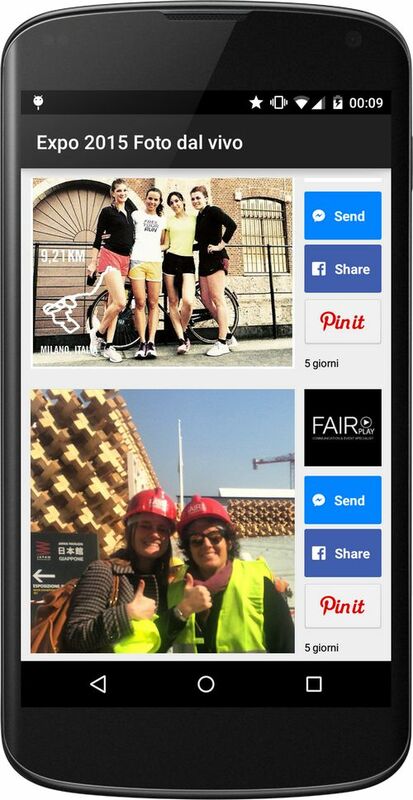 Born as an experiment on Android, I released an app which extracts live photos (usually from Instagram users but not only) taken at the Expo 2015, everyday. The fair will stay from May to October 2015, it’s not a few days events, so everyday for 6 months there will be lots of (I hope) interesting photos. The app, actually only for Android, is Expo 2015 Live Photos. Try it now!